Assam University has invited applications in prescribed form for admission in B.A.LL.B (Hons) and LL.M. at Assam University, Silchar H. Q. and Diphu Campus for the academic session commencing from July 2015. B.A.LL.B (Hons):21 Years (23 in case of SC , ST and OBC Candidates) as on the 1st July of the year of admission. B.A.LL.B (Hons): In case of General Candidates a minimum 50 percent of marks (45% for reserved category) in the qualifying examination as well as 45 percent in English subject(40% or reserved category) , separately, in the qualifying examination. LL.M: Candidates who have passed the three year LL.B. Degree Examination of this University or such examination of any other university or institution after Graduation [under 10+2+3 pattern] or five year L.L.D Degree course under 10+2+5 pattern as is recognized by this University as equivalent for the purpose of admission to L.L M. Degree course and have secured not less than 50% marks in aggregate in the Bachelor of Law examination. Candidates may collect Prospectus along with Application Form for the course(s) on payment of Rs. 700.00 (for General, PWD and OBC students) and Rs. 500.00 (for SC/ST students) from the Assam University cash counter and office of Diphu Campus, AU, onall working days up to 3 pm. The form may also be downloaded from University website aus.ac.in and submitted along with an application fee of Rs. 700.00 (for General, PWD and OBC students) and Rs. 500.00 (for SC/ST students) through D.D. 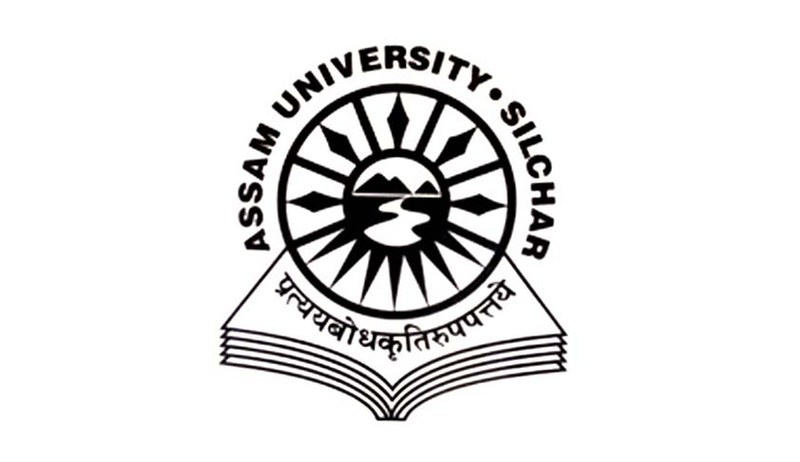 in favour of Finance Officer, Assam University, Silchar payable at Silchar. Applicants may also apply online using the weblink.